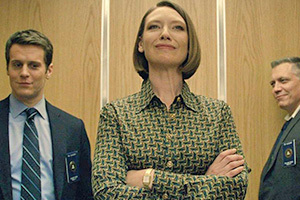 Mindhunter may be a show about some of the 20th-century’s bloodiest murderers, but it doesn’t give the viewer that much blood. 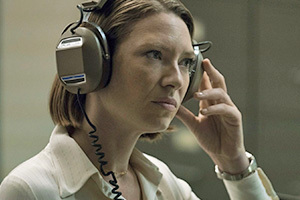 Or murder, either. 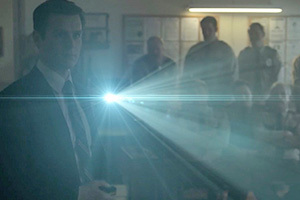 Instead, this jewel in Netflix’s crown portrays the birth of criminal profiling in the late '70s in America. 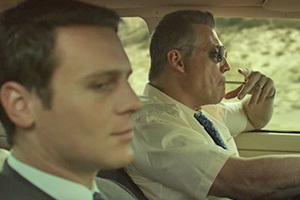 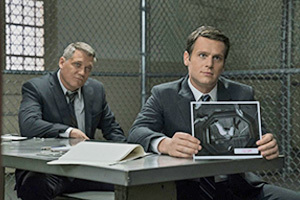 Produced by Charlize Theron and David Fincher — who directed some of the episodes — Mindhunter chronicles the story of two FBI officers as they develop the idea of using the minds of real-life criminal psychopaths like Jerry Brudos and Richard Speck as a way to more effectively stop similar crimes from being committed in the future. 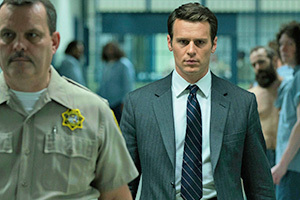 British writer Joe Penhall is Mindhunter's showrunner. 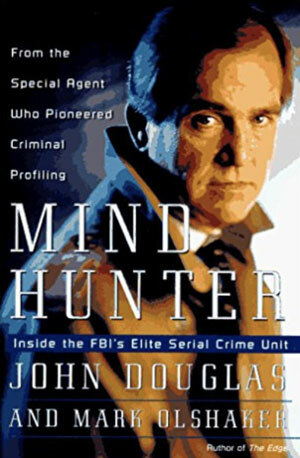 He took FBI agent John Douglas’s 1995 book Mindhunter: Inside the FBI’s Elite Serial Crime Unit and turned it into this highly binge-watchable series that details the birth of the modern notion of serial killing, including, the invention of the term itself. 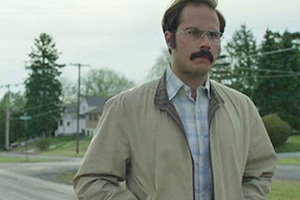 You might be surprised that the concept of a serial killer didn’t even exist in 1977. 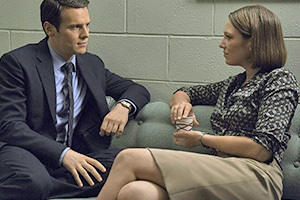 At one point, we see Jonathan Groff’s Holden Ford and his colleagues Bill Tench (Holt McCallany) and Anna Torv’s psychology professor Wendy Carr matter-of-factly exploring alternative terms to use. 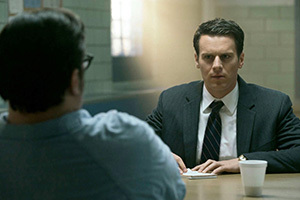 Groff’s performance is inspired. 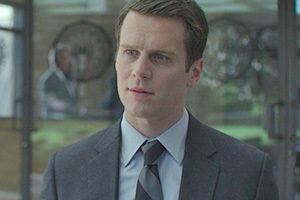 We’re used to TV murder detectives being as gritty and damaged as their quarry – but Ford looks and sounds so baby-faced that there’s a recurring joke in the series that no one believes he actually comes from New York. 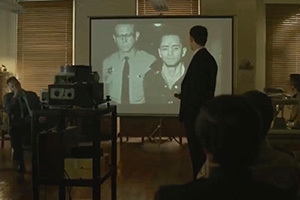 From listening to the actor explain it in interviews, he was as surprised as anyone when Fincher flew him out to LA to offer him the part. 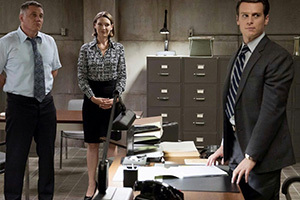 It’s a multifaceted performance that stands in stark relief to the show's grim atmosphere and setting. 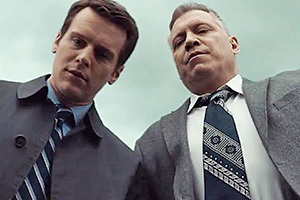 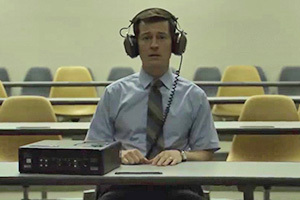 You might (rightly) consider Mindhunter to be a drama about serial killers, but it’s just as much about Holden Ford’s relationships — and not just the ones he cultivates with the rapists and necrophiles he interviews, but also the ones he has with Tench, his skeptical FBI colleagues, and his girlfriend, Debbie (Hannah Gross). 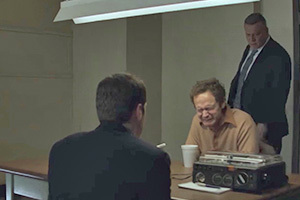 Arguably the key relationship of the show is the rather creepy bromance that he has with Ed Kemper. 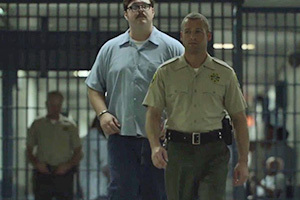 Kemper, as any serial killer aficionado will tell you, is the highly intelligent, 6' 9" California monster who murdered his grandparents, mother, mother’s friend and six female students before engaging in acts more repellant and perverse than we care to explore here. 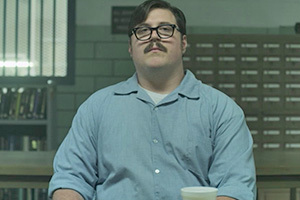 Kemper is horrifically and effectively portrayed by the previously unknown actor Cameron Britton. 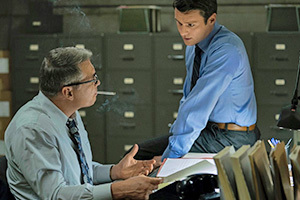 We watch Ford and Kemper tentatively circle each other before establishing a strangely powerful bond. 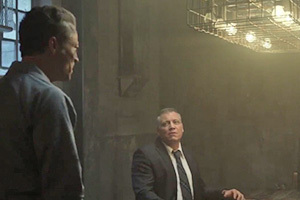 It's one that proves highly useful for Ford professionally, but which takes an increasingly emotional toll on him as the series progresses. 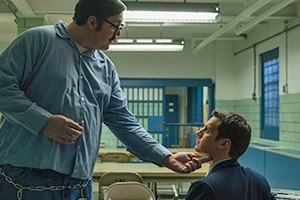 There's the ever-present risk that Mindhunter might become a kind of glorified Who’s Who of infamous American murderers — another monster-of-the-week freak show — but the series creators have avoided that pitfall — at least for the time being. 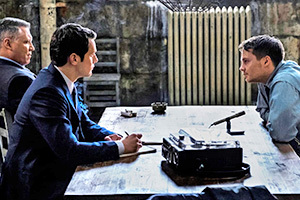 Some weeks we’re in procedural territory, in others we’re meeting a murderer and in still others we’re veering into Ford and Tench’s dysfunctional private lives. 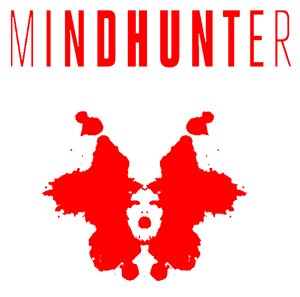 The wonders of network streaming allow episode lengths to fluctuate as needed. 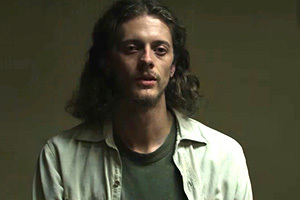 There’s even a mostly silent pre-credits storyline which follows a man about to kill, of whom we know nothing beyond the fact that he lives in Park City, Kansas. 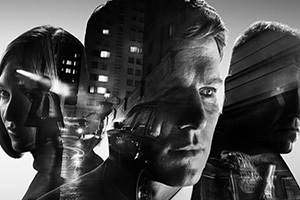 That’s all to be continued — Netflix has, bless their corporate hearts, renewed the show for a second series.